Below you fill find all funeral homes and cemeteries in or near Lindale. Suburbs of Lindale: Garden Valley, Hide a Way, Hide A Way Lake, Hideaway, Mt Sylvan, Thedford, Wood Springs. 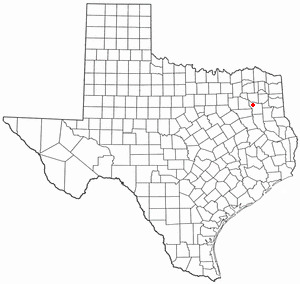 Lindale is also known as: Smith County / Lindale town. Their current mayor is Mayor Robert Nelson. Zip codes in the city: 75771. Some of the notable people born here have been: (james %22wally%22 brewster and jr.), (lexie dean robertson), and (jim granberry). Lindale is a city in Smith County, Texas, United States. The city had an estimated population of 5,024 in 2006. It is part of the Tyler, Texas Metropolitan Statistical Area. It was disclosed on March 8th, 2019 that Brent S "Chuck" Smith died in Lindale, Texas. Smith was 77 years old and was born in Gouverneur, NY. Send flowers to express your sympathy and honor Brent S "Chuck"'s life. It was reported by Klamath Falls Herald and News on August 26th, 2018 that Bonnie F Hyatt (Kirkley) perished in Oregon. Ms. Hyatt was 95 years old and was born in Lindale, TX. Send flowers to express your sympathy and honor Bonnie F's life. It was revealed on November 8th, 2017 that John M Simon died in Lindale, Texas. Simon was 55 years old and was born in Ashland, OH. Send flowers to express your sorrow and honor John M's life. It was written by Peoria Journal Star on November 24th, 2016 that Robert William "Artie" Shaw perished in Lindale, Texas. Shaw was 89 years old and was born in Astoria, IL. Send flowers to express your sorrow and honor Robert William "Artie"'s life. It was written on May 18th, 2016 that Patty Jean Meidinger passed away in Lindale, Texas. Meidinger was 55 years old and was born in Wishek, ND. Send flowers to express your sorrow and honor Patty Jean's life. It was noted by Visalia Times-Delta on July 23rd, 2015 that Reba Mae "Bobbie" Bimat (Kimberley) perished in Clovis, California. Ms. Bimat was 95 years old and was born in Lindale, TX. Send flowers to express your sympathy and honor Reba Mae "Bobbie"'s life. It was revealed by Amarillo Globe-News on May 1st, 2014 that Marene Bennett (Futch) passed away in Lindale, Texas. Ms. Bennett was 80 years old. Send flowers to share your condolences and honor Marene's life. It was written on December 31st, 2013 that Barbara Sprick (Phillips) passed on in Lindale, Texas. Ms. Sprick was 66 years old and was born in Paris, AR. Send flowers to share your condolences and honor Barbara's life. It was disclosed by Flint Journal on October 14th, 2013 that Alverma Smith (Evans) perished in Flint, Michigan. Ms. Smith was 75 years old and was born in Lindale, TX. Send flowers to share your condolences and honor Alverma's life. It was reported by Tyler Morning Telegraph on April 19th, 2013 that Clarence Britton "Britt" Turner died in Lindale, Texas. Turner was 87 years old and was born in Ada, OK. Send flowers to express your sorrow and honor Clarence Britton "Britt"'s life. A year later, the International-Great Northern Railroad extended its line through Lindale, and the town's fledgling canning and fruit packing industries took off. Produce continued to be the city's main source of income, and by 1950 the town had gained a reputation for being the "blackberry capital of the world," with tons of berries being canned and shipped each year. After the American Civil War War, Richard B. The town had an estimated population of 5,024 in 2006. In 1905, the town was incorporated; it spanned about a square mile in total. The official website for the city of Lindale is http://www.lindaletx.gov/. Listing all funeral homes in Lindale, Texas so you can easily send flowers to any location (same day delivery) or find any funeral service. funerals in Lindale, TX on Yahoo! Local Get Ratings & Reviews on funerals with Photos, Maps, Driving Directions and more. We work with local florists and flower shops to offer same day delivery. You will find budget sympathy flowers in Lindale here. Our funeral flowers are cheap in price but not in value.